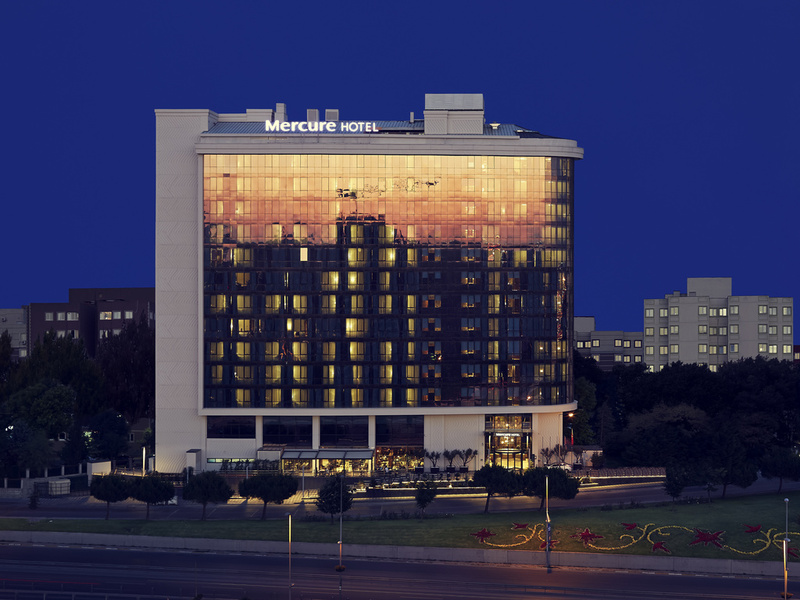 Located in Topkapi the Mercure Istanbul Topkapi Hotel is just 10 minutes from Ataturk International Airport. Close to the main attractions of the city such as Taksim, Old City and convention centers such as CNR Fair Ground, Halic Congress Venue, this Istanbul hotel is easily accessible via public transportation. Mercure Istanbul Topkapi hotel offers free WIFI for all guests. Different sized meeting rooms and ballrooms offer you the most successful events. The bar serves a wide selection of snacks and regional international drinks in a stylish and relaxed environment. Enjoy your drinks while watching your favorite sports or taste our cocktails by the beautiful Istanbul view. I was very happy with the reception people who seemed helpful enough despite some few slow responses to requests made. Room service is satisfactory so were the restaurant services. I recommend the Hotel for whoever is planning to make a trip to Istanbul. When we arrived at the Hotel the person at the reception told us that our booking was cancelled. This booking was made through our company travel agency. We had to pay the room charge in advance with our personal credit card. While checking out the receptionist told us that this was a misunderstanding. Hopefully we will get our money back to our private credit card. The room was good, also breakfast was nice. The privilege rooms have all needed, service at reception very good. The garden restaurant is not so inviting and the terrace too loud due to the main road. Breakfast was also high quality and very diverse. It was a good comfortable stay. We arrive with a rented car from the airport, which is just a 20 mins drive, parking is an ease as the hotel provide free valet service. Rooms and toilet are clean and fresh, ample space in the room. It's a pleasant stay I must say. Staff are nice and friendly. They even allow us to leave our luggage as we decided not to bring all luggage when we travel out to Cappadocia before returning back to Istanbul two days later.